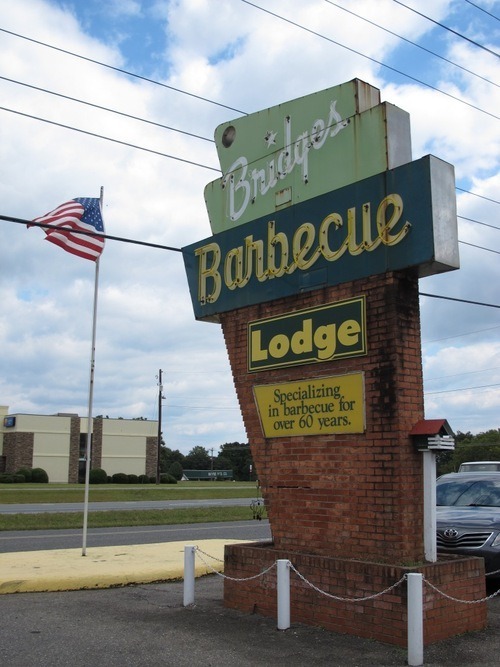 Monk: Heading to the Sigur Rós concert in Asheville afforded myself and Speedy another opportunity to hit up one of our favorite barbecue joints of all time, Red Bridges Barbecue Lodge in Shelby, NC. 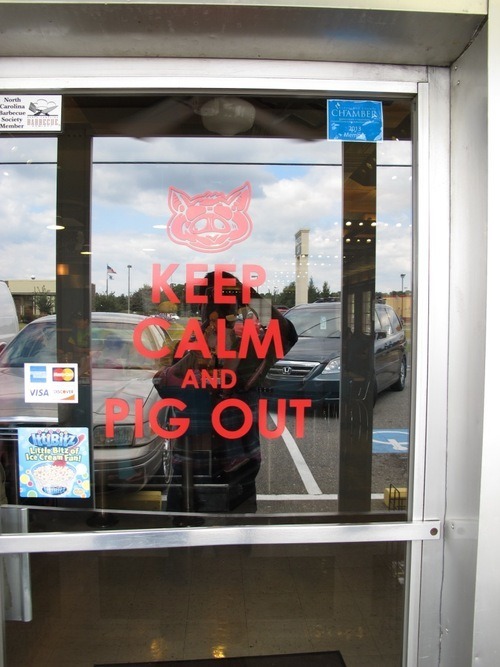 Speedy: Monk and I have stopped by Red Bridges pretty frequently over the past few years (usually on the way to and from concerts in Asheville) and assumed this would be a slam dunk 5-hog review, as every experience in the past has been perfect. Monk: However, that wasn’t exactly the case this time around for our official visit. 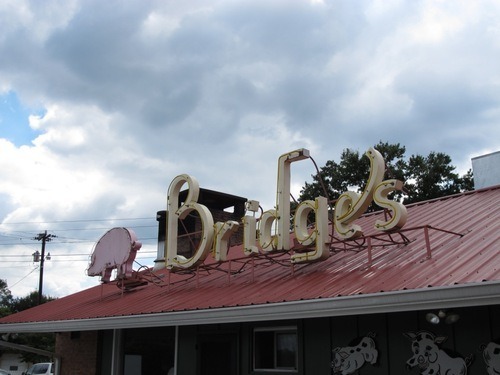 Red Bridges is your classic old school barbecue joint located just off highway 74 and they have been serving the greater Shelby area for 67 years (60 in the current location). Speedy and I entered and sat ourselves and like always we were approached by the waitress immediately upon sitting down. As is our M.O. when it’s available, we each ordered a Cheerwine for our drink (unfortunately in a can and not from the fountain). Speedy: Like an amateur, Monk had a full breakfast with the in-laws before lunch, so only ordered the small barbecue tray. 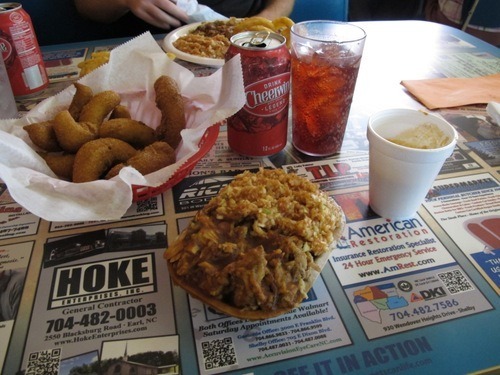 Speedy: I, on the other hand, had been fasting since the previous evening in preparation for the barbecue feast, so I ordered the jumbo barbecue plate which consisted of chopped pork, red slaw, hush puppies, fries, and onion rings. The food was brought out shortly thereafter, although not as promptly as we had remembered in previous visits. Monk: Look, before we get into it I do want to caveat that it was all very good. Still, we don’t get paid the big bucks not to nitpick. Speedy: Wait, you’re getting paid? Monk: We’ll talk about that later…anyways, starting with the chopped pork, it was a little coarser chop than both Speedy and I would prefer – which is different from our past visits. And maybe it could have had just a touch more smoke – again, different from our past visits. Speedy: I was actually ok with the amount of smoke in the pork. I would like to note, however, that the pork always comes with a good bit of outside brown, even if you don’t specifically ask for it. Monk: Very true. 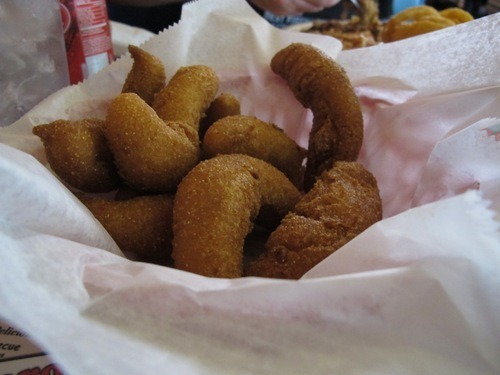 As for sides, both the oblong hush puppies and red slaw were spot on for a Lexington-style joint. Speedy: The onion rings were fine but the fries were not good, and I only ended up eating three of them. One thing that has always irked me about Red Bridges is that they have Frank’s Hot Sauce on the table – why not stock Texas Pete, a Winston-Salem product? Monk: Speaking of sauce, the table dip seemed to be a little thicker than we’ve noticed in the past and lacked tang. Speedy: You may be reading this review and thinking that we didn’t enjoy our visit. We assure you, that is not the case. 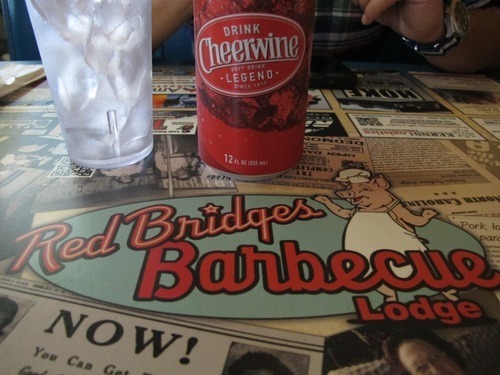 Red Bridges is still in our top 5 North Carolina barbecue joints. It’s just that this particular visit didn’t quite live up to their unusually high standards. Still, this meal was better than 95% of barbecue joints out there. 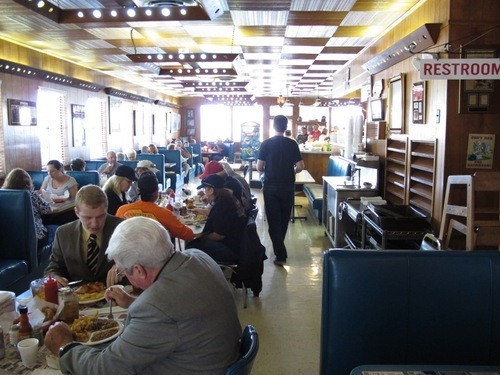 Monk: We still have no trouble recommending Red Bridges Barbecue Lodge to anyone and everyone looking for proper barbecue and we will stop by there every chance we get. Let’s just hope this visit was an anomaly instead of the start of a trend. On the blog this week we have a recap with photos of The 4th Annual @freerangebrew / @orderfiretv Pig Pickin' yesterday. Link in profile. 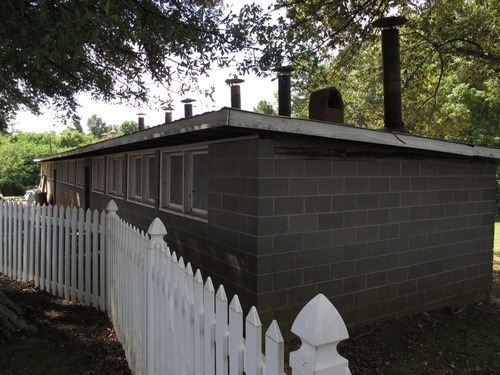 This week on the blog, we catch up with "The 100 Best Barbecue Restaurants in America" author Johnny Fugitt (@barbecuerankings) to see what he's been up to the past 3 years during his barbecue hiatus of sorts. Link in profile. 4 hogs – That’s high praise! 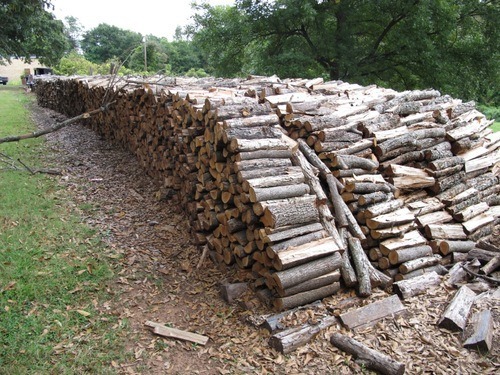 1 hog – What is this? A Yankee joint?